Bitcoin users will be able to cash in their Bitcoin accounts starting in October, as company called Bitcoiniacs plans to install the first Bitcoin ATM in Vancouver. Bitcoiniacs, Vancouver’s physical ‘Bitcoin’ exchange opened in June and has reportedly purchased 5 terminals from RoboCoin, a kiosk manufacturer. The Las-Vegas based vender will install the first ATM in Vancouver by the start of October. Four more Terminals are planned to hit Montréal, Ottawa, Toronto, and Calgary by early December. Founder Mitchell Demeter confirmed each unit cost $18,500. Demeter hopes to install the ATM at a downtown location of a coffee store Waves, which already accepts Bitcoins, a deal which has neither been confirmed nor finalized. 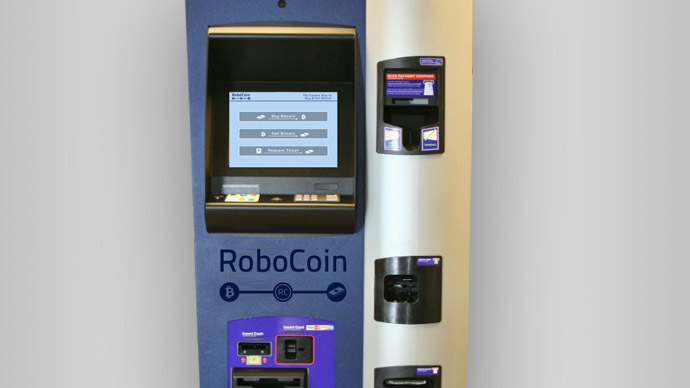 The RoboCoin kiosks are expected simplify Bitcoin exchange. In theory, the machine will be ‘bi-lateral’ allowing customers to both deposit and withdraw cash for Bitcoins. “Robocoin is the easiest way for people to go and buy and sell Bitcoin,” RoboCoin CEO Jordan Kelley's, told RT. “From the buying side of things, you can go to a machine without having a wallet and it will generate a wallet for you on the fly. Or if you already have a wallet it will simply scan your mobile phone to send the Bitcoins you’ve just bought to your personal lot,” Kelley added. Running on Windows 7, and equipped with photo identification technology and a palm scanner, a user can either redeem or transfer Bitcoins. Bitcoiniacs first open as a physical Bitcoin store, and is now transitioning into the ATM sector, and has already received 10-15 shipments they plan to deliver by September, according to Demeter. “Physical exchanges would be a lot more labor intensive. The beautiful thing is that it lets us scale quickly and brings Bitcoin into everyone’s reach,” says Demeter. Germany is fast becoming a hotbed of physical exchanges, with the first transaction recorded in Berlin last week, after officially recognizing it as 'private money'. “It’s a real step towards it becoming a universally, accepted, legitimate other option to state-issued currencies,”said RT’s Peter Oliver in Berlin. Other ATMs have reportedly been opened in Cyprus and San Diego by the company Bitcoin ATM, which is under the direction of an anarcho-capitalist Jeff Berwick from Canada. The world's first Bitcoin ATM was unveiled in San Diego, but it has not been operational beyond its inaugural demonstration, as Berwick withdrew support for the ATM a month before. Berwick announced last late March his intention to open a Bitcoin ATM in Cyprus, but then later withdrew backing. If the machines in Canada are fully functional, they will be the world’s first operational Bitcoin ATMs. Berwick’s promise of a Bitcoin ATM came at a time when faith in institutional power was shattered in Cyprus after banks were closed for nearly 3 weeks as the government sorted out the bank bail-out plan. The plan has not yet come to fruition. Is being exclusively virtual vital? Bitcoin first appeared in 2009 and has since been gaining appeal with those who distrust institution-backed currencies (dollars, yuan, euros) and the organizations that guarantee them (governments and central banks,) so if and when the first Bitcoin ATM transaction takes place, a certain ‘ideology’ of the bitcoin will be breached. A strong demand for bitcoin-for-cash ATM transactions could complicate the ‘virtual’ pillar the currency is rooted in. A US judge has ruled Bitcoin is a real currency, and at the time of writing, was trading at $138.63 on the Mt. Gox, the largest international Bitcoin exchange. The price has ballooned to a record $260.00. 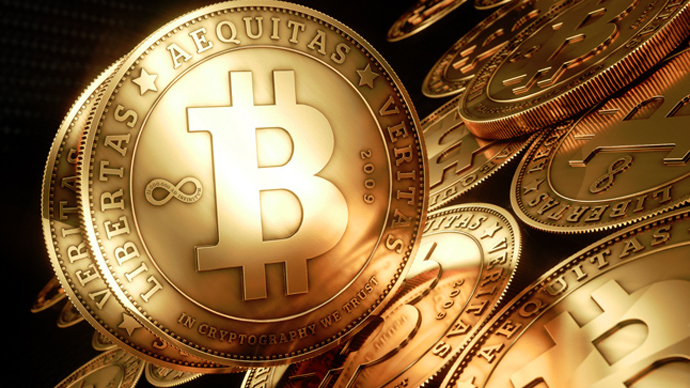 A growing number of retailers have begun to accept Bitcoins as payment. 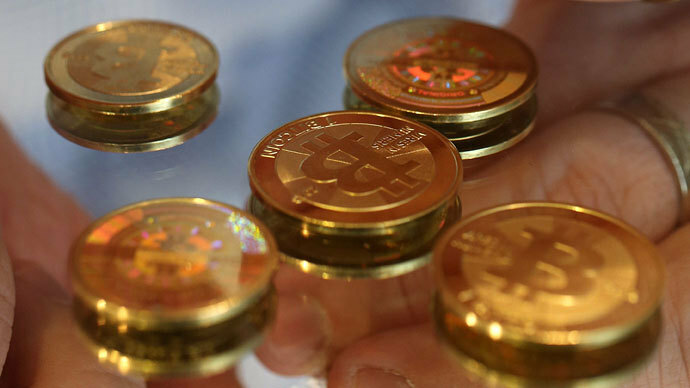 Bitcoins can now be used to buy a wide array of goods, including cars, consumer goods, houses, drugs and hard currency.